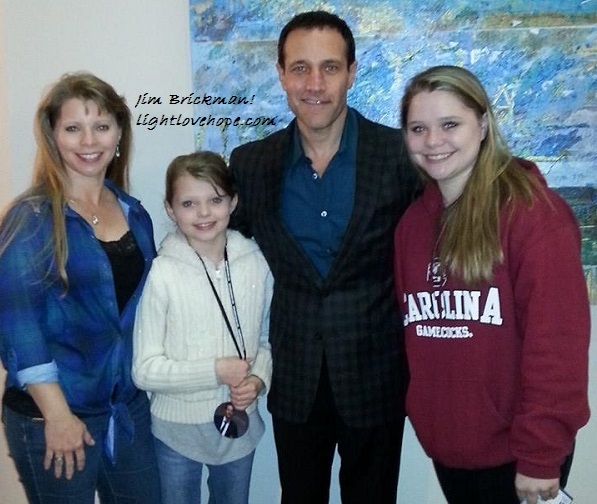 Last night was the Jim Brickman concert, which has become a holiday tradition in our family thanks to Gregory C. Johnson, aka The Quiet Computer Guy. Greg was able to attend with us again this year, and he surprised us with front row seats! Our girls were thrilled! While cameras were not allowed in the auditorium, we were allowed to briefly take out our phones to snap shots to enter contests that Jim announced in the program we received last night. 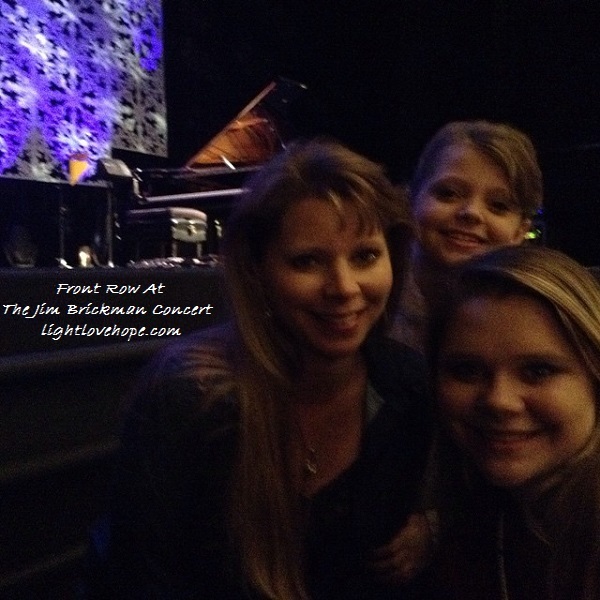 While this picture is dark, you can see the smiles on my daughter’s faces with the piano in the back before Jim took the stage. Anne Cochrane was there singing along and dressed so eloquently all night in her evening gowns and fancy dresses. Tracey Silverman was also there rocking out on his electric violin. You wouldn’t think that “rocking out” and violin would go together, but once you hear Tracey, you’ll understand! He is quite talented and amazes us with all he can do on his electric violin. Jim played so incredibly wonderful as he always does, and he sang to a few of his songs as well. Last night he told us about how he got Kenny Rogers, the legendary Country singer, to sing for his album. If you haven’t heard it, check it out! We always enjoy how Jim, Anne, and Tracey kid each other on stage. They are a lot of fun to watch together. There was a special guest last night as well. 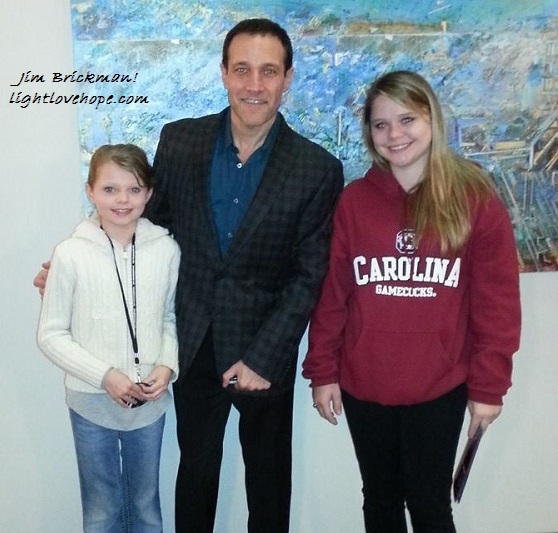 Clay from Savannah, Georgia, was the winner in our region for the “Sing With Jim Brickman” contest. 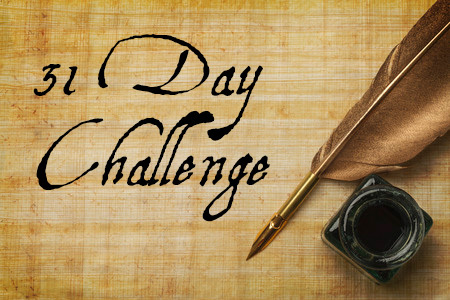 Clay is a preacher, and he talked of how his wife encouraged him to submit a youtube video for the contest. He sang Love of My Life by Michael W. Smith live last night. This is one of my most favorite songs as it talks of an amazing love and having found the love of his life. This song speaks to my heart and soul and brings me to tears when I think of how I have found the love of my life and how thankful I am to God above! Clay also sang with Jim, Anne, and Tracey on a song toward the end of the program as well. AND as you can imagine, Clay had his crew from Georgia there supporting him and cheering him on. They actually sat on the row directly behind us, and it was nice to see the support that they poured out for Clay. 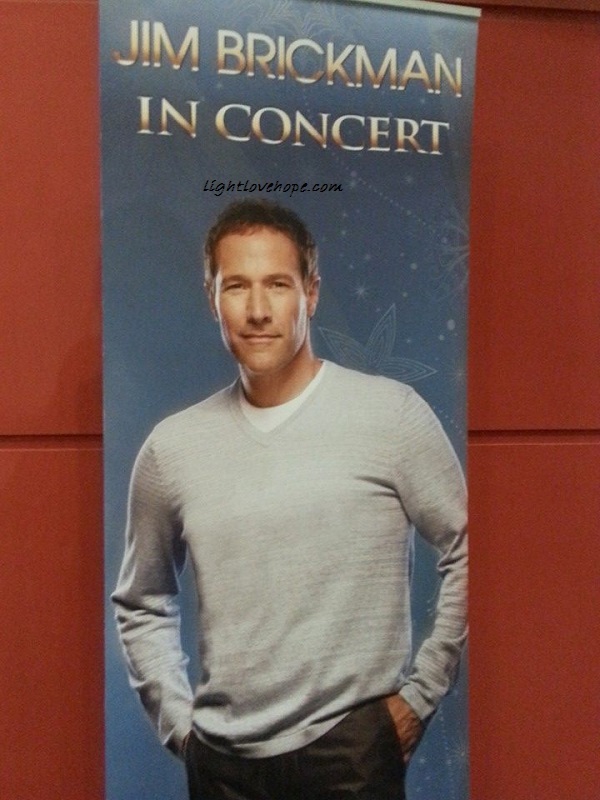 Be sure to check out Jim’s site to see if he is performing On A Winter’s Night in a city near you. This is a concert you won’t want to miss. Be prepared to let all of the stress melt away as Jim’s music soothes your soul.